ZTE has announced that it has now broken into the top five smartphone manufacturers in the world after it recorded huge shipments in the second quarter of the year. According to global research firm IDC, ZTE shipped eight million smartphones in Q2 of 2012, an impressive 300 percent increase on the same time last year – kicking Research in Motion out of the elite club. As well as that, ZTE has maintained fourth position in overall handset shipments, and after shipping over 15 million units in 2011, it's the second fastest growing smartphone maker – with only Apple experiencing quicker growth. The Chinese firm's global smartphone market share now stands at 5.2 percent, with the majority of sales coming from China, France, the UK and the US. 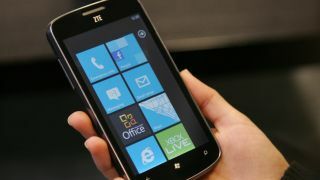 ZTE is just 0.5 percent behind HTC in fourth in the top five, and only 1.4 percent behind third place Nokia. Nokia and HTC have experienced vast loses, with the Finnish firm posting a year-on-year drop of 38.9 percent and the Taiwanese manufacturer seeing its market share fall by 24.1 percent - although HTC still managed to jump from fourth to fifth after RIM dropped. However, the report notes: "Despite impressive gains last quarter, brand equity may prove to be an issue for ZTE in future. Strong brand recognition is a necessity if high-growth smartphone sales abroad are a priority for the company." ZTE EVP and Head of the Terminal Division, Mr. He Shiyou said: "Entering the smartphone manufacturers top five is an important milestone towards our target of becoming one of the top three mobile phone manufacturers in 2015."